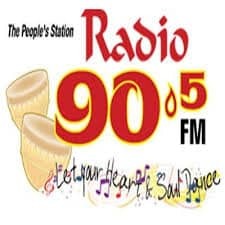 Radio 90.5 FM Live Online from Trinidad and Tobago . Radio 90.5 began its “all Indian music” format on August 17th 1997. The Mission of this station is stay a family-oriented and community-driven entity. This FM is is undisputedly one of the country’s top radio stations and a proud member of the Caribbean Lifestyle Communications Network . Address : 4 Herbert Street , St.Clair, Trinidad and Tobago.